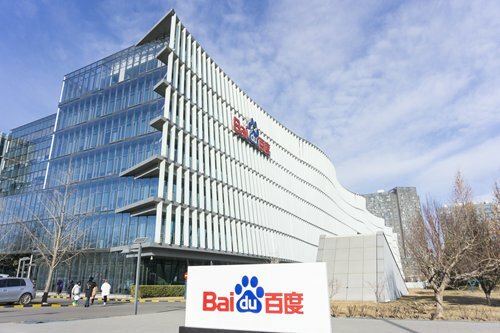 Chinese internet users complained about the country's search engine giant Baidu on Wednesday, claiming that a large proportion of Baidu's own products and services appear in search results on its website and calling for Google's return to the Chinese mainland market. Public anger arose after an article titled Baidu is Dead, written by former Chinese journalist Fang Kecheng, went viral on Chinese social media on Tuesday night. The article said that unreliable information and Baidu's own products and services accounted for a large amount of content in the search results. The company announced on Wednesday that only 10 percent of the search results represented content from its product called Baijiahao, which picks articles from the 1.9 million official and independent content creators in China. The company will improve the media aggregation service to provide content of better quality for its users, it said. The business of information flow helped Baidu to earn revenue of 100 billion yuan ($14.74 billion) in 2018, becoming the most crucial business for the company. Liu Dingding, a Beijing-based industry analyst, said most complaints from users are reasonable as Baidu is believed to have loosened its controls and administration over its information stream, products and advertisements in order to earn money. "You can never find what you want on Baidu," said an employee surnamed Hu at a Beijing-based media company. "I cannot find reliable media reports on Baidu. All of the top results are from individual content creators, which I can't use in my work," Hu added. Fang Xingdong, founder of Beijing-based technology think tank ChinaLabs, said the problem of Baidu lies in its violation of net neutrality, a principle requiring internet service providers to treat all data equally. "Baidu's behavior destroys fair competition and undermines China's internet environment," Fang said. If the company operated this way in the US or Europe, "it would go bankrupt due to anti-monopoly laws," Fang added. Public discontent over Baidu brought more calls for Google's return. A Weibo user commented on Wednesday that "Maybe if Google comes back, Baidu will truly find it 'game over'." Still, as industry watchers pointed out, as one of the top Chinese internet firms, Baidu has over recent years made a continued commitment to high-tech research and development, notably in the arena of artificial intelligence. Public anger over the company's search results is thus unlikely to seriously ruin the Chinese tech brand name, industry analysts said.